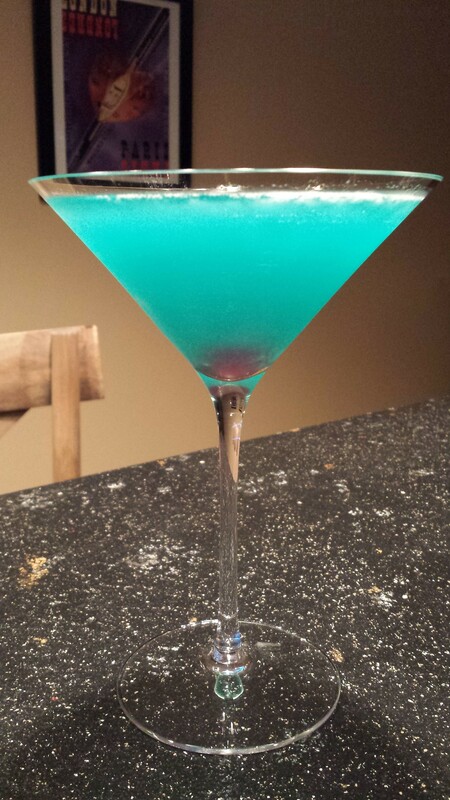 2105 Labor Day Menu Ideas. 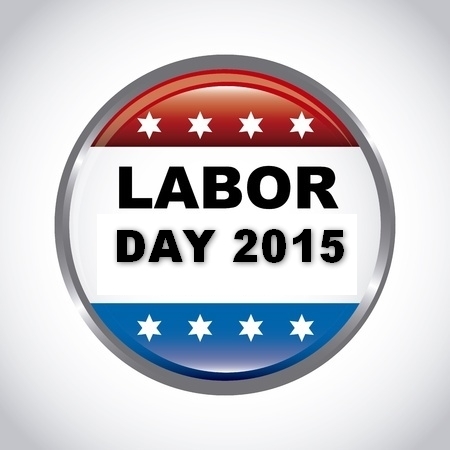 It’s September all ready, summer is almost over, and Labor Day Weekend is already upon us! Hopefully, you’ve had a fantastic summer so far. It’s sure gone past pretty quickly at our house. Whether you are having a cookout, picnic, or going to a potluck dinner, please take a look at my 2015 Labor Day Menu Ideas for a spectacular Labor Day meal. 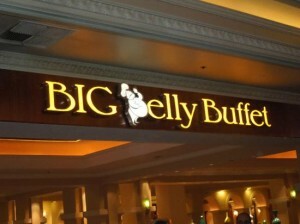 Celebrate the “end of summer” with friends and family and some delicious food and drink. 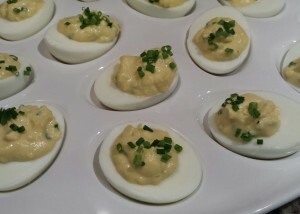 Chive Deviled Eggs are a popular appetizer or or accompaniment to a holiday meal. 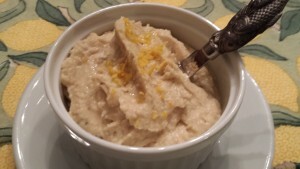 Serve my Garlicky White Bean Dip with assorted veggies on a platter. 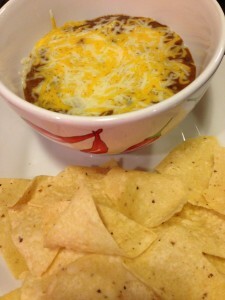 My Hot and Spicy Black Bean Dip served with tortilla chips is sure to please your guests. 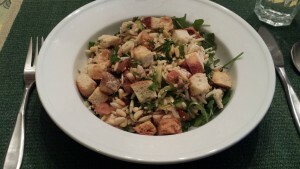 My chilled Marinated Chicken Tomato Orzo Salad travels well for picnics and potluck lunches or dinners. Serve on its own or on a bed of greens. 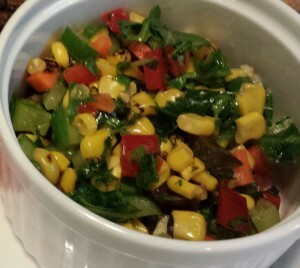 Healthy and pretty, my Colorful Chopped Salad with Garden Vegetables is eye candy in itself. 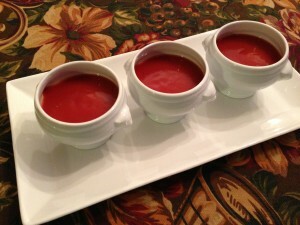 My Tomato Basil Soup is delicious served hot or chilled. Serve in sippable cups. Sprinkle on some chopped basil from the garden prior to serving. 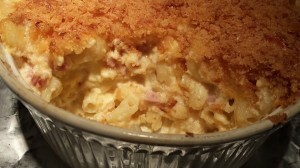 The Food Lover’s Mac and Cheese with bits of Niman Ranch ham is definitely a reason to throw a party! 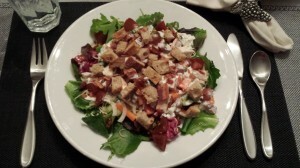 Serve a main course BLT Chicken Salad with Herby Buttermilk Dressing. 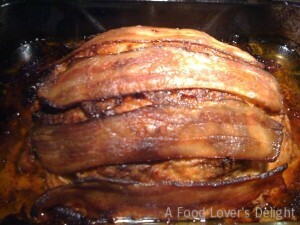 The Food Lover’s Crazy Bacon-Topped Meatloaf can be served by itself or on a toasted roll with fixin’s for a tasty sandwich. 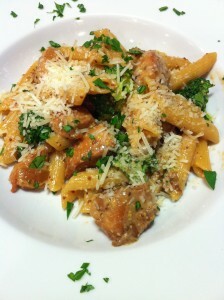 Honey Mustard Chicken with Broccoli and Penne Pasta can be served cold or hot! Travels nicely as well. 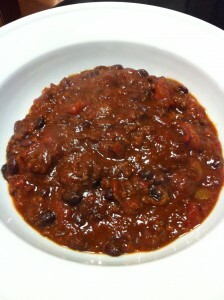 Offer my Award-Winning Black Bean Chili with sour cream, shredded cheddar cheese, diced red onion, and sliced jalapenos. 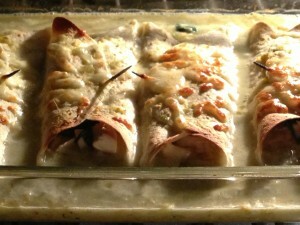 These Chicken and Spinach Enchiladas with Green Chile Sauce make a delicious portable baked casserole dish. 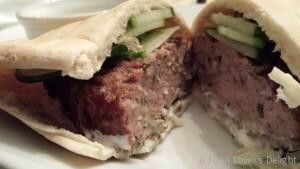 For a different option, try my Grilled Lamb Meatballs with Greek Yogurt Sauce served in a pita for easy eating at a party. 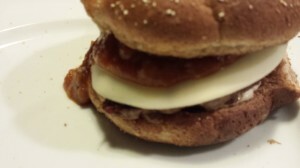 My Italian Burgers with Provolone and Roasted Tomato Sauce are a tasty take-off of a regular burger. 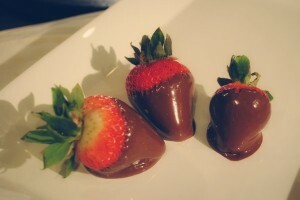 Try them with some sauteed spinach and mushrooms on top of the provolone cheese! 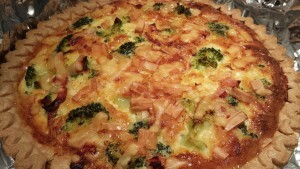 Green and gorgeous, my Broccoli, Ham and Smoked Gouda Quiche can be served hot or cold. 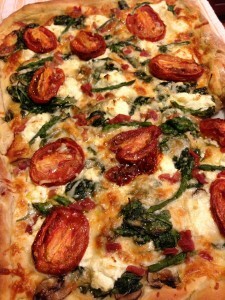 My easy Rustic Roasted Tomato and Asparagus Pizza showcases those plentiful tomatoes from the garden. 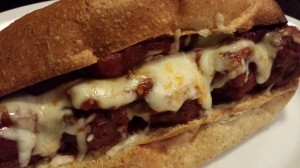 An easy handheld party treat is my Hearty Meatball Sandwich. Best served hot, these meatball sandwiches can also be served cold. Try on slider buns! Wraps are simple for picnics. 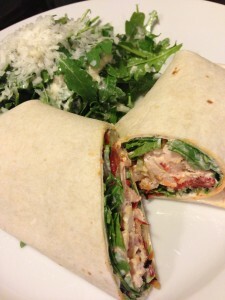 My Smoky Chicken Wrap with Garlicky Roasted Red Pepper Aioli is a great choice. 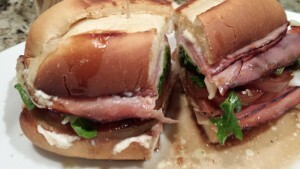 Delaware House Ham and Cheese Sandwich is one of my all time favorite sandwiches! Fill a platter for your guests and see how quickly these sandwiches disappear. Who doesn’t love mashed potatoes? 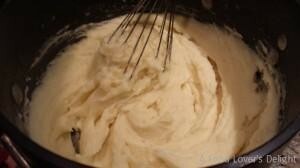 My Easy Mashed Potatoes are simple to make. 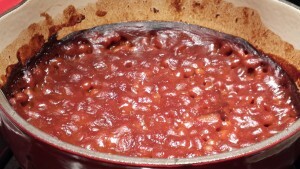 My favorite Honey Mustard Baked Beans are a staple on my picnic and barbecue menus year-round! 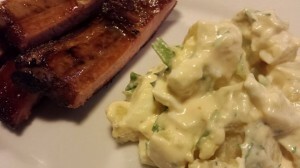 Offer my Potato Salad with Honey Mustard Dressing alongside hot dogs, grilled chicken, or BBQ ribs. 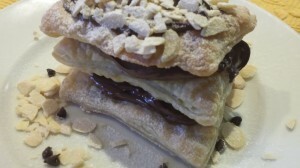 Assemble my Nutella Napoleons just before serving for best results! Serve my Patriotic Berry Parfait in tall glasses for the prettiest effect. 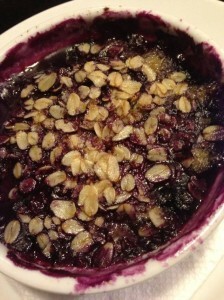 My Very Berry Crumble is best served warm. Top with some ice cream or frozen yogurt. 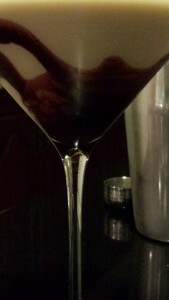 For a drinkable dessert, try my Chocolate Almond Martini. Please drink responsibly. 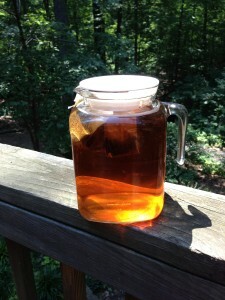 Make my Simple Iced Tea up to two days ahead of your party. Whatever you do and wherever you spend your Labor Day Weekend, please remember to have a great time and eat some delicious food. 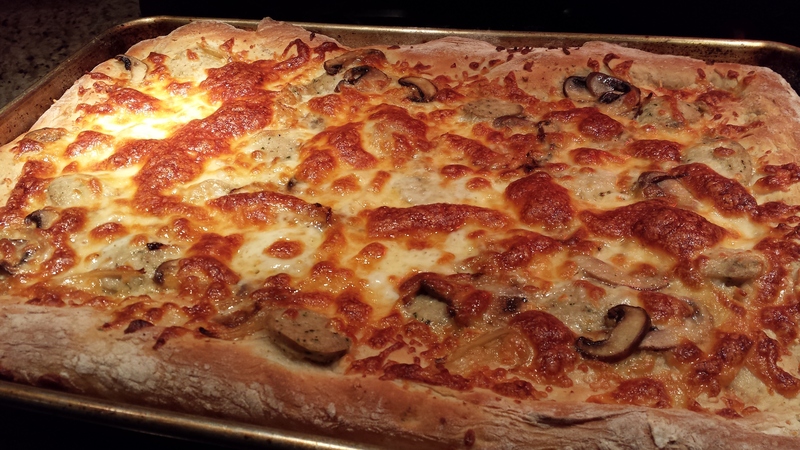 Hope you’ve enjoyed my 2015 Labor Day Menu Ideas!